The New York Times reported yesterday that American Designer, Ralph Lauren is stepping down as CEO of his company mimicking similar moves by other top American design houses. He will be replaced by former exec of H&M, Stefan Larsson. Recently, Lauren’s company has had financial problems stemming from competition in the haute couture field and an overall slump in revenue parly due to factors of a global economy. The designer, 75, will retain his position as chief creative officer. The appointment of Larsson,who has a reputation as a strong in budget-conscious mass-retailing, may signal a parceling out of the high end fashion division from a more budget-conscious, family-oriented line. Expect steep promotions at Ralph Lauren until sales recover, like the additional 25% off until October 4, 2015 using promo code RLGivers15. This includes Clearance. Free shipping if you spend $125 or choose economy shipping for just $5. Runners and just about anyone this time of year need to consider giving those old, grungy sneakers a decent burial. 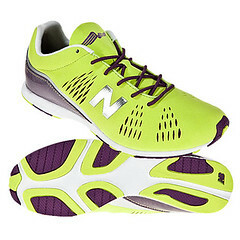 Providing an extra incentive is a super sale at Joe’s New Balance®Outlet. With 50%+ off on orders and free shipping on purchases of $50 or more, you can give your tootsies a fashionable treat without busting the bank! Savings on women’s, men’s and kids sneakers plus apparel. MarkdownMom Says: Now is the time to put a little Spring Into Your Step! My Lady! My Valentine!! My Sale!!! You know it, your woman is worth so much more, so this Valentine’s Day give her the finest from Lord & Taylor without selling the castle. Super sale on designer clothes, shoes & boots, accessories not only for your significant other from xs-plus, but for all your loved ones including men, tweens and little ones. Get clearance prices and take an additional 20% off using promo code: BIG plus free shipping on purchases of $99 or more. Combine all savings and you save 60%+off! MarkdownMom Agrees With Lord & Taylor: When Shopping Go Big! Finding bargains requires diligence. Anyone can find sales, but sales are not necessarily bargains given that few retailers sell at full price anymore. Therefore, it’s important to know a sale from a real sale. Sometimes the prices of a dedicated site hold greater savings than outlets, or bargain sites. For example, Calvin Klein is carried by a number of retail stores and you can find bargains in their clearance racks but not in all sizes or styles. You are limited to what’s in stock at that store. However, going directly to the online designer site can expand your choices and your amount of savings. Neiman Marcus has a great designer online clearance sale that is worth browsing by even the most frugal bargainista. Sweaters from designers like Eileen Fisher reg. $238 marked down to $83 and then you take an extra 30% off at the checkout! Really! Up to 75% off–Really! Includes specialty sizes of petites and women’s (18-24), Really! Free 3 Day Shipping on all orders until December 15, 2011. Really! Promo Code: FSHURRY. Bonus Points, Handbag Giveaway, and $5,000 Shopping Spree. Really! Ends December 9, 2011. So what are you waiting for? Really!!! For shoe fashionistas and this means men as well, Steve Madden is having a sale until Midnight tonight of his hot, hot, styles to wrap your tootsies in! 30%-50%+ off on the hottest footwear. There’s No Business Like Shoe Business! Nordstrom. The Rack has savings of 60% off most apparel. Now is the time to shop and scoop up the bargains! Dillards. Additional 30% off clearance through April 30, 2011. *Macys. Extra 15% off, use promo code: LOVEMOM. Good through May 2, 2011. Pet Smart™. For the Royal Pooch. Save 20% on all Martha Stewart Pets Dog Collars, Leashes, Harnesses, Waste Management, Feeding & Toys. Plus 25% off Big Brand Sale. Online only extra 10% off purchase of $75 or more, enter promo code 10SPRING at checkout. Wednesday Steal: Land Ahoy Savings! Here’s a great bargain like only MarkdownMom can bring you. Lands’ End noted for their quality cotton goods and great prices on cashmere, has made a special offer. 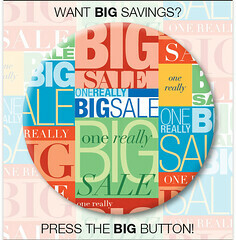 Now through April 11, 2011, get 30% off any item plus Free Shipping! Very few exceptions. MarkdownMom was able to get a $144 cashmere cowl neck sweater for $30! For fabulous deals and maximum savings check out Overstocks on their site. Something for every family member. Promo Code: RETAIL30 PIN: 8915. Telephone Orders Call 1-800-800-5800 & give promo and pin.